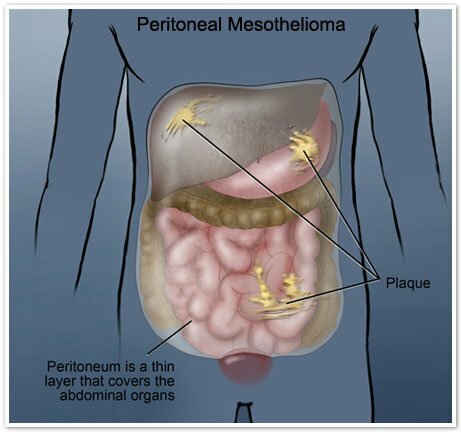 Peritoneal mesothelioma accounts for 20 to 25 percent of all mesothelioma cases. 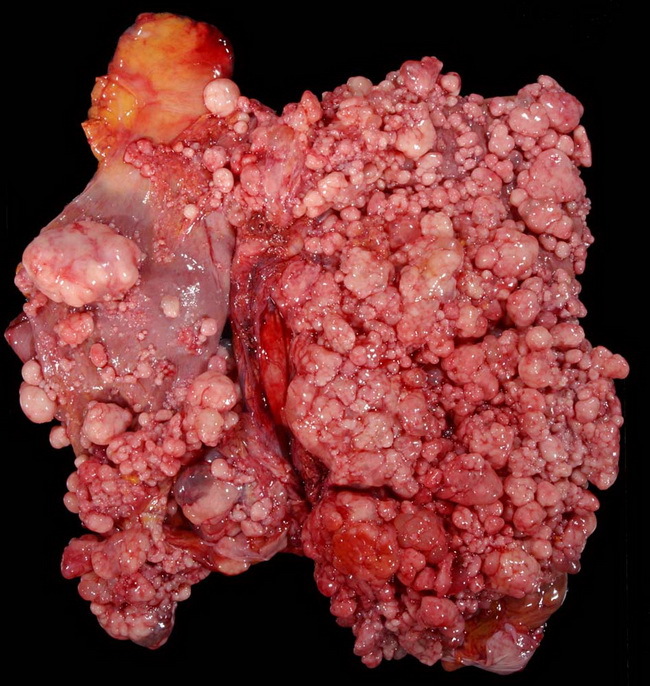 It is the most common diagnosis after pleural mesothelioma. Peritoneal patients have longer life expectancies than those with other types of mesothelioma. Some studies report patients living upwards of 5 years after cytoreductive surgery. Peritoneal mesothelioma is known only to be caused by exposure to asbestos, a microscopic natural fiber that was used heavily in industry. Asbestos is said to reach the abdominal wall by one of two methods. The first is through ingested asbestos fibers which are processed through digestion and become lodged in the peritoneum. The other method is through the lungs and lymph nodes by inhaled asbestos fibers. Malignant mesothelioma of the pleura is also known to metastasize directly into the abdominal cavity if its spread is not slowed. Many of those who have worked with asbestos materials have developed peritoneal mesothelioma as a result of exposure to friable asbestos fibers. Asbestos was used in a myriad of industrial materials and construction products. Exposure to asbestos was common in aluminum plants, steel mills, power plants, and naval shipyards. Peritoneal mesothelioma is a relatively rare disease, with only 200-500 diagnoses each year in the United States being documented. Risk, however, is sustained in those who have been exposed to asbestos. Even those exposed many years ago are potentially at risk for the development of malignant peritoneal mesothelioma. Latency between exposure to asbestos and the development of peritoneal mesothelioma symptoms can range anywhere from 20-50 years. Misdiagnosis is common because peritoneal mesothelioma symptoms closely mimic minor stomach/abdominal discomfort and hernia. Nevertheless, those with clear asbestos exposure history should be aware of their risk of disease and speak with their doctor or cancer specialist if they believe they may be experiencing symptoms indicative of mesothelioma.